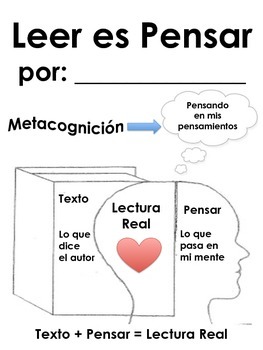 Leer es Pensar. Reading is Thinking. 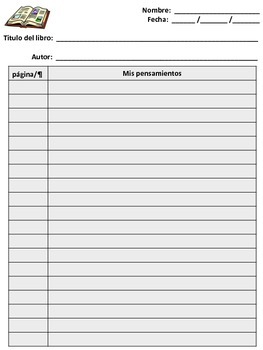 Reading Response Journal in Spanish for Read to Self Literacy Station or Reader's Workshop. Metacognition Cover Page, Differentiated "Thinking about Reading" Sentence Starters with Symbols, and Lined Template Page. Print Cover Page and Sentence Starter pages. Make multiple back-to-back copies of the lined template page. Assemble into a spiral bound reading response journal for each student. Español. Lectura. Estaciones. Centros. 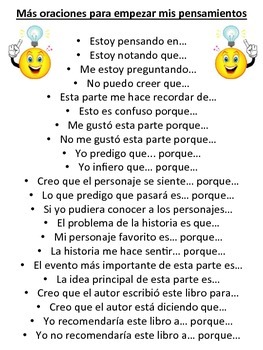 Leer Independientemente. 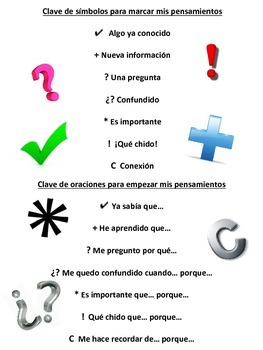 Metacognición.